At HandPicked our team of designers work hand in hand with skilled artisans to create one-of-a-kind jewelry you won't find anywhere else. Mostly constructed of sterling silver and semi-precious stone and crafted in limited quantities, these pieces are originals! When a style is gone, it is more than likely gone for good. Genuine Sterling Silver jewelry is a luxury that when compared with other precious metals (gold, platinum, etc) is very affordable and can be worn every day. Genuine Sterling Silver jewelry is an heirloom that can last forever when you use it and care for it properly. Genuine Sterling silver always retains it intrinsic silver value. So, sterling silver has a strong resale value for the life of the product, and will keep its value for generations to come. Sterling silver jewelry is an investment that rewards you every time you wear it! Why semi-precious stone? First of all, they are gorgeous! Second of all they are unique! A semi-precious stone is also referred to as a gem or gemstone. We always strive to bring you new designs at value prices that are sophisticated, classic, trendy, bohemian inspired and always on trend! 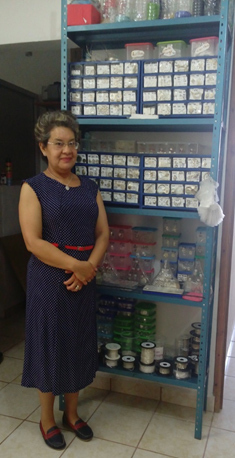 Here's the story of Rosa and her team in Mexico who hand craft each of these stunning pieces! Hello my name is Rosa. I live in a beautiful village in Mexico. My relationship with HandPicked began in 2007 when I met Señora Melanie Mauldin. Thanks to Melanie and the work from HandPicked, I was able to open my own business. I have the pleasure to work with many silversmiths, or “artists” as we call them, from my village. When HandPicked designs a new piece, we determine what process should be used. The silversmiths then hand-craft the piece based on our instructions. 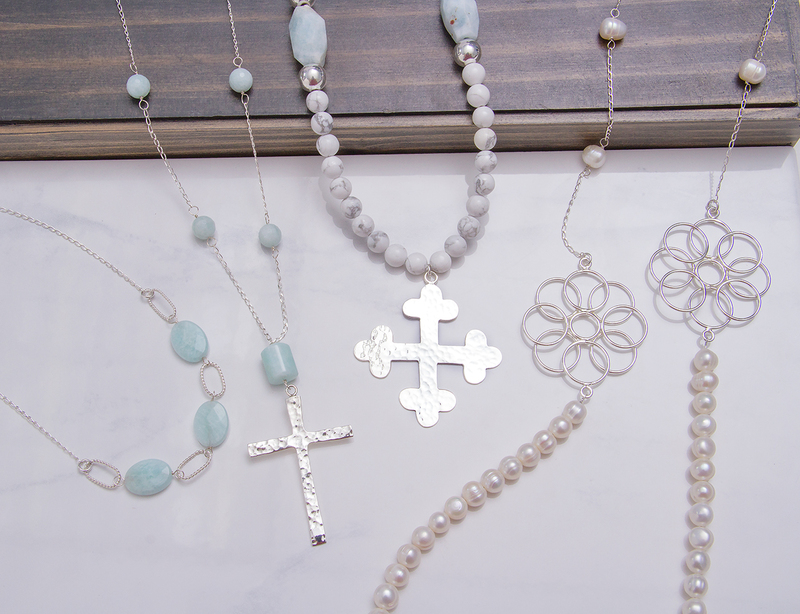 Seeing the end result always amazes us – HandPicked’s jewelry is truly a work of art! Before working with HandPicked, I was very poor and lived in a small house. Now, I can support my family, which consists of my husband, Pedro, my daughter, Elisa and my son, Sebastian. I am proud to be one of only a few female business owners in my village. 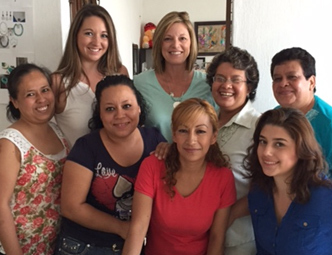 I have 17 employees, 6 of which are women, who are able to provide for their families the same way I have. I am honored to be a part of the HandPicked family and I thank you all, especially Señora Sonya Ingram, for helping me and my employees to lead better lives. Touch up with the HandPicked polishing cloth. Will wipe away fingerprints, chemicals from touching and will keep your Sterling Silver items sparkling. Tarnished items, when silver is not wiped with a polishing cloth occasionally, it will have a yellowish to gold tint which means it is tarnishing. Polishing cloth not taking the tarnish away? Try cleaning with Wright’s polishing cream. This will make it shine like new! Store your sterling silver in a dry environment. Jewelry wardrobes are great for sterling silver. Place our anti-tarnishing squares in with your silver pieces to discourage tarnishing.